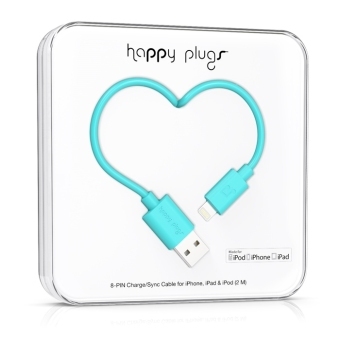 Happy Plugs introduces a box fresh series of charge and sync cables in a line of colors that suits your personality and style. Say hello to a brighter everyday life and goodbye to confusing your cable with someone else’s. Lightning by Happy Plugs also measure 200 cm so you’ll be able to kickback and enjoy your device even when it’s charging without having to stretch.